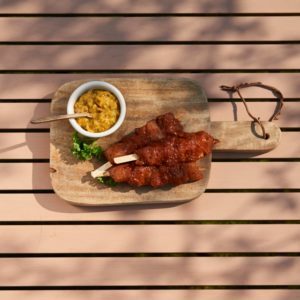 Delicious kebabs, ready marinated and all set to go on the BBQ. Choose from chicken, beef, pork or lamb, or get some of each to keep everyone happy. 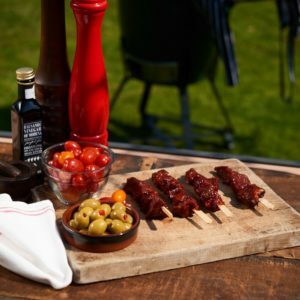 For those who like a bit of fire in their BBQ fare, our Spicy Beef Kebabs with diced rump beef are the business. 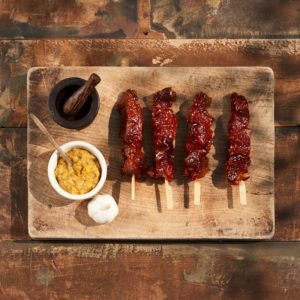 Their spicy marinade uses paprika, jalapeno peppers and chilli flavours to deliver a taste hit. 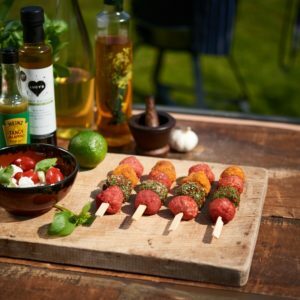 Always a popular BBQ choice, our Portuguese Sizzlers are balls of pork sausage meat coated in a selection of herbs and spices on skewers, with four meatballs per skewer. 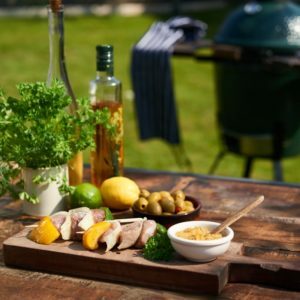 A barbecue winner, our Pork and Pepper Kebabs combine tasty pork and crunchy peppers. 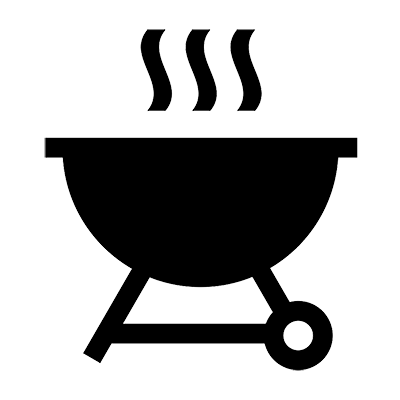 Grill until the meat is brown all the way through and tuck in.